​The Judges and support staff of the Sixteenth Judicial Circuit Court are committed to serving the public by providing equal access to a fair and impartial system of justice that fosters the public trust and confidence. We work toward accomplishing this mission by continually improving the facilities, programs, and services provided to the people of the Sixteenth Judicial Circuit. This website was established to enhance the court's ability to provide useful information to the public, litigants, and attorneys regarding the judicial system. Like any successful site, it is our intention to continually monitor and update information and documents on the site in an ongoing effort to further a better understanding of the judicial branch of government. As you explore our website, please feel free to contact us with suggestions as to how we can better serve you. Your input is an important source of information about how our court system can better serve our community. 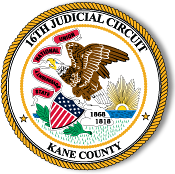 Thank you for your interest in the Sixteenth Judicial Circuit's Judiciary and its website. I​t is the mission of the judiciary of the Sixteenth Judicial Circuit to provide equal access to a fair and impartial system of justice by which legal disputes may be resolved in a timely, efficient manner, while fostering public trust and confidence. It is the vision of the judiciary of the Sixteenth Judicial Circuit to provide quality service without excess cost, inconvenience or delay, while insuring that all are treated with courtesy, dignity and respect. We also resolve to maintain the independence of the judiciary while strengthening our relationship with the public, the bar association, and other branches of government. Additionally, it is our goal to provide for a system of justice that continually improves, while earning the respect and confidence of an informed public. Also, we wish to acknowledge and enhance the potential of every person working for the judiciary, to contribute to the administration of justice through participation, training, and technology.